Philadelphia Flyers captain Claude Giroux couldn't have been happier upon hearing the news that All-Star linemate Jakub Voracek was signed to an eight-year, $66 million contract two weeks ago. Giroux didn't have long to wait to share his feelings with Voracek, who called him shortly after the deal was done on July 30. 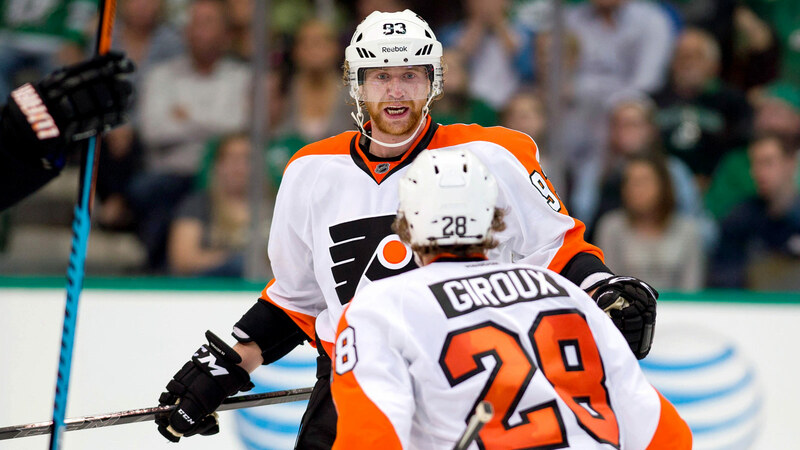 "I'm really happy for him, and it's really good for our team," Giroux told the club's website. "I think we have some room for improvement to get even better chemistry, but I think we've been doing a good job of finding each other and communicating on and off the ice to know how we want to play." Giroux knows a thing or two about eight-year deals, as he is also signed to one worth $66.2 million. The pair will be linked for at least the next seven seasons in the City of Brotherly Love. The 27-year-old Giroux scored 25 goals and set up 48 others in 81 games last season while the 25-year-old Voracek added 22 tallies to go along with team highs in both assists (59) and points (81).